Well there have been an awful lot of developments with our Snackistan cafe in the last few months. 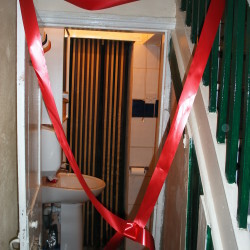 But the most important of the lot came with the grand (oh-so-very-grand) opening of our loo last Thursday. We were positively flushed with pride… (ahem). Regular visitors will know that it has actually been in use for around two months, but now – ta-dah – it is officially open for, um, business. 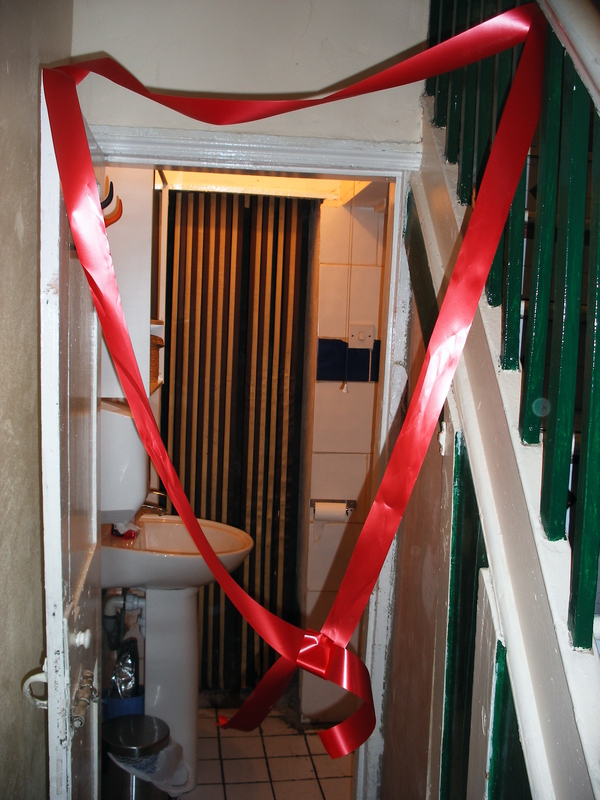 The red ribbon was gracefully snipped for us by the very lovely, and deeply and importantly talented, Smoke Fairies, Peckham’s very own rock band (sheesh – it’s such a talented area). And the Peckham Peculiar turned out to witness it all. We would have asked all of you along, but frankly the cubbyhole at the bottom of the stairs can only accommodate 3 or 4 at a time.